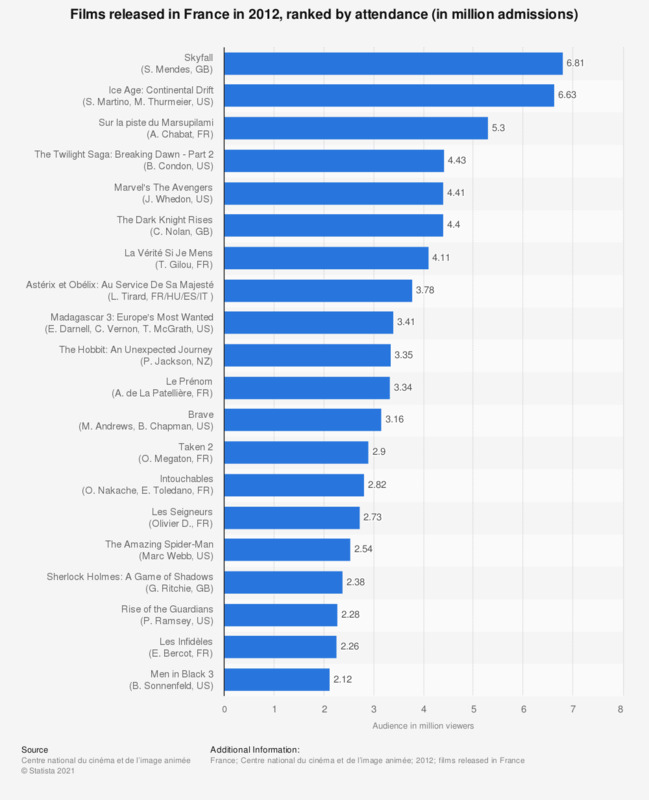 This statistic shows the twenty most successful films in France in terms of attendance in 2012. Skyfall, directed by Sam Mendes, reached an audience of 6.81 million viewers. Ice Age: Continental Drift generated 6.63 million admissions.